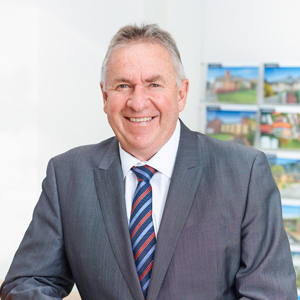 As Director, Licensed Estate Agent and Auctioneer at Woodards Bentleigh, it's John Pollard's vast experience and sincere, caring approach that makes him an inspiring leader and an outstanding partner in all property transactions. Following a successful career in the law department of the state public service, John's natural progression over 30 years from sales person to business owner continues to offer him immense satisfaction. He strongly believes that working alongside Co-director and wife Vicki Pollard to become one of the most highly regarded husband and wife teams in the industry, has resulted in the exceptional level of customer care the agency is renowned for. A lifetime Bentleigh resident with a virtually unmatched knowledge of the local market, John's impeccable reputation for delivering premium outcomes on every transaction is only matched by his commitment to providing unbeatable and unforgettable service to each and every client. A team he describes as 'the best and most nurturing in the area' also assists in achieving these goals. With a passion for football culminating in a role coaching within the VAFA, he is also a Life Member of the De La Salle Old Collegians Football Club. John is a devoted St Kilda supporter, enjoys horse racing in his spare time, but topping his list, is the precious time shared with wife Vicki and his three adult children. Being the first time selling on my own was always going to be daunting, but after meeting with John & Vicki I felt I was in good hands. Their expertise in selling and knowing what the vendor wants was reassuring. I was kept well informed as to how things were progressing. It has been a pleasure dealing with Woodards and I would not hesitate recommending John, Vicki and the team for selling or buying. We cannot thank Vicki Pollard & the team at Woodards Bentleigh enough. Having made the difficult decision to sell our home to move to a retirement village we were very nervous about the process. From our initial meeting with Vicki & John Pollard we were certainly very confident we were in caring & competent hands. The makeover & styling of our home was completely project managed by their office. Throughout the sales campaign Vicki kept us updated at all times of buyer feedback. Well Auction Day arrived and what can we say - John Pollard our Auctioneer excelled - the sales result achieved well and truly exceeded our expectations. We would recommend Vicki & John Pollard to anyone looking for a stress free sale process with highly competent professionals. We would like to express our great appreciation to John, Vicki and all the team at Woodards who have been part of the wonderful outcome achieved with the sale of our home. We need to relay our recognition and awareness of the sheer dedication, energy and skill brought to the whole process by John & Vicki. They were superb in the way they worked so hard and so well to achieve a win-win situation for sellers and buyers. We are very grateful. Woodards are a great sales team and we would also like to thank all the admin staff who provide all the backup!